The Justice Department laid out what it called a series of lies Paul Manafort has told since agreeing to cooperate with the government but few details are visible in a new court document. Manafort, the document says, lied about payments and financial relationships; about his dealings with his business associate Konstantin Kilimnik, who also was indicted last year; his contacts with people in the Trump administration; and other topics. Although the new document is heavily redacted, it appears to match some details from an earlier brief filed by Manafort's attorneys, one that also was redacted but which didn't actually conceal its contents. That document referred to, for example, Manafort authorizing someone in May of 2018 to drop his name if they got a meeting with Trump, a discussion also described in the government's new filing. Manafort has been in a long-running dispute with prosecutors over his plea agreement. The government argued that he has violated it by allegedly lying in interviews since he agreed to give information truthfully and completely. That was part of a deal in which Manafort escaped a trial on conspiracy charges last year in Washington, D.C. He was also convicted in a separate case earlier in the year in Alexandria, Va.
Manafort's lawyers say any incorrect statements were inadvertent and that he has given the government valuable information. Tuesday's submission was the latest installment in a battle of court filings in the dispute over the plea agreement. The previous one took place last week in a document filed by Manafort's lawyers — a brief that made headlines that his legal team did not intend. Manafort's legal team attempted to conceal sensitive passages from the document but Web users quickly discovered they could see what had been written. That was how the information became public about Manafort's meetings in 2016 at which he discussed campaign polling data with a business associate who has been linked to Russian intelligence services. The filing from last week also included a description of a meeting in which Manafort and his business partner, Konstantin Kilimnik, discussed a "peace plan" for Ukraine — understood to involve potential sanctions relief for Russia — and a conversation in which Manafort authorized someone to drop his name if the person was able to secure a meeting with President Trump. The focus for Manafort's team, however, was on what they called inadvertent comments by Manafort to investigators that they argued did not amount to a concerted campaign of lies sufficient to vitiate the plea agreement. Manafort and his lawyers argue that his plea agreement is still in effect and that he still should get consideration from a judge when he is sentenced. 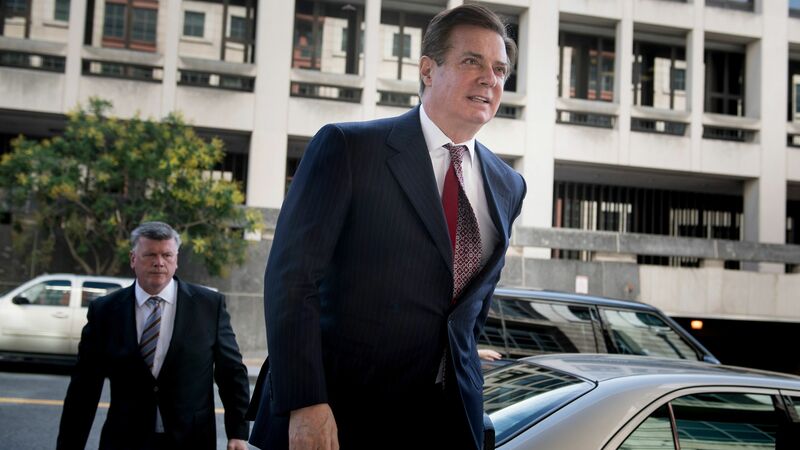 Whether or not his cooperation is considered — depending on the viability of the plea deal — could make a significant difference in the amount of prison time that Manafort could receive at sentencing. But no matter how the current dispute ends between Manafort and federal authorities, that may not be the end of the story for him. Trump has praised what he called Manafort's toughness and unwillingness to "break." The president also hasn't ruled out pardons for Manafort or others in the Russia imbroglio. Tuesday's filing comes as the Senate Judiciary Committee holds a confirmation hearing for William Barr, Trump's nominee to serve as attorney general. The last time Barr served as attorney general, in the administration of President George H.W. Bush, he supported that president's use of pardons at the end of the Iran-Contra affair.